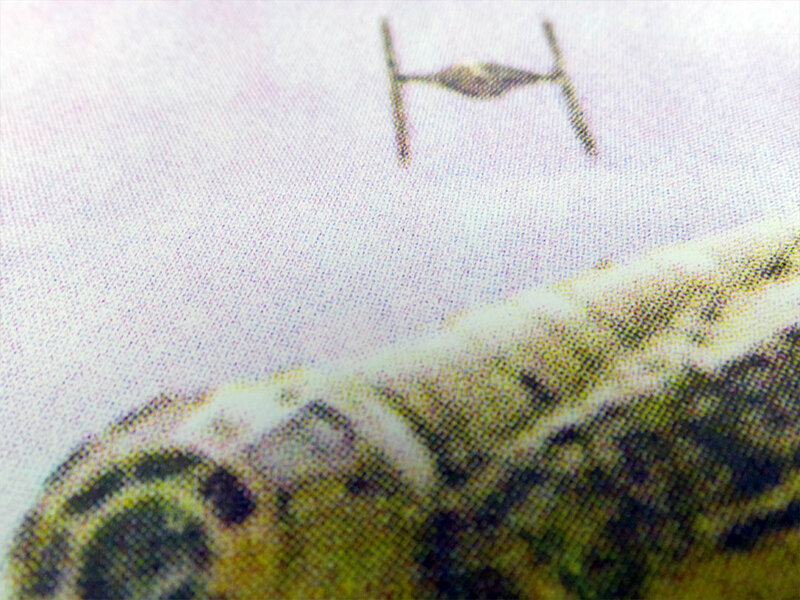 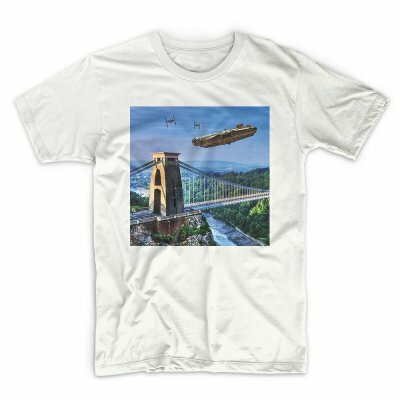 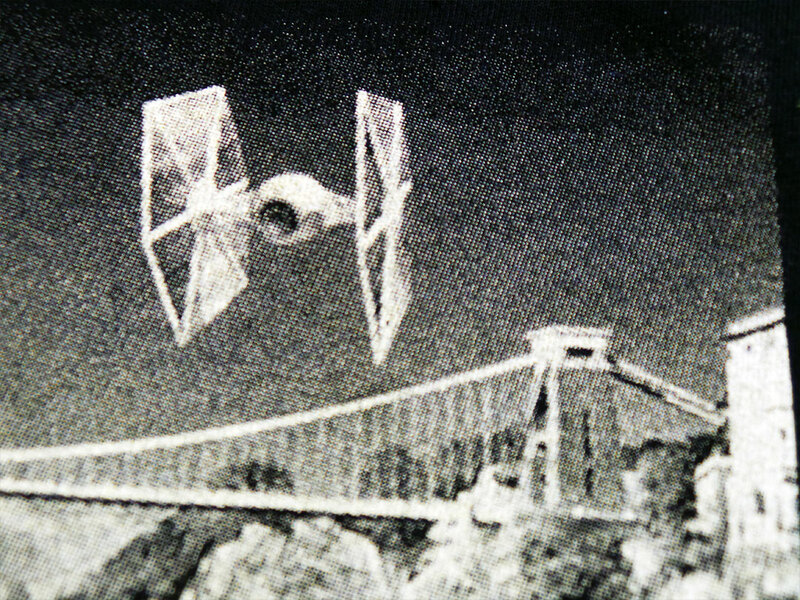 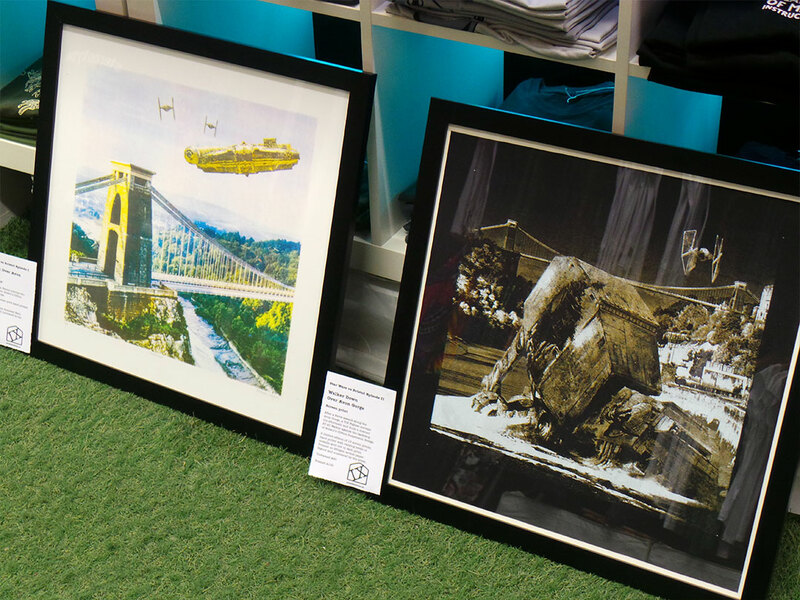 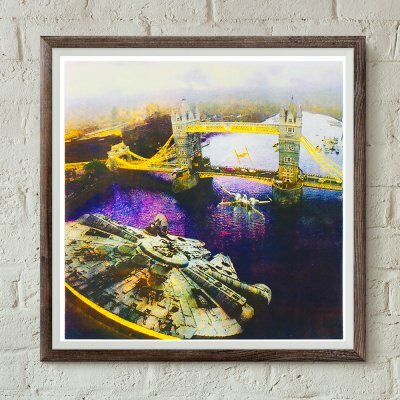 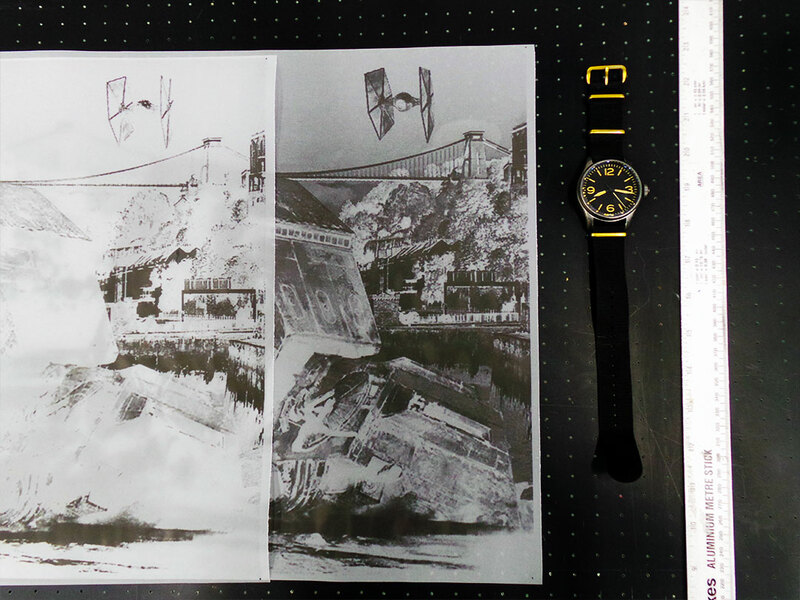 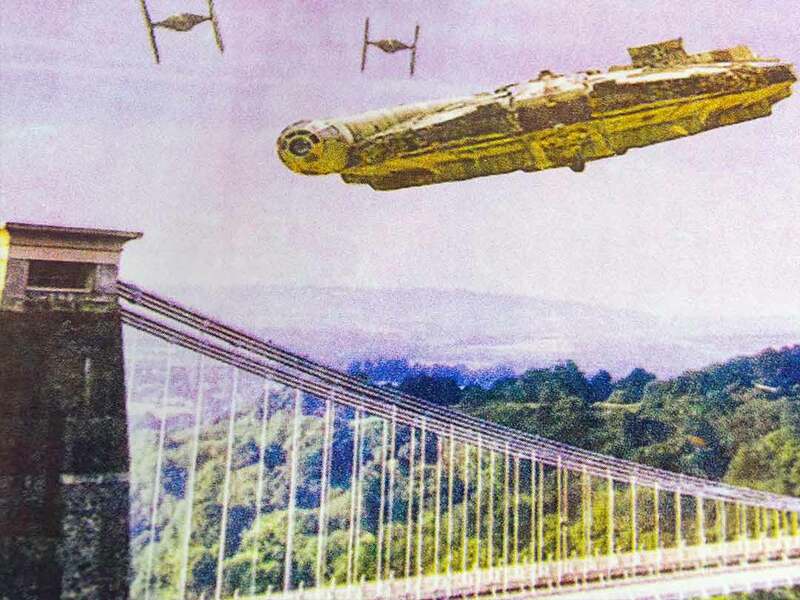 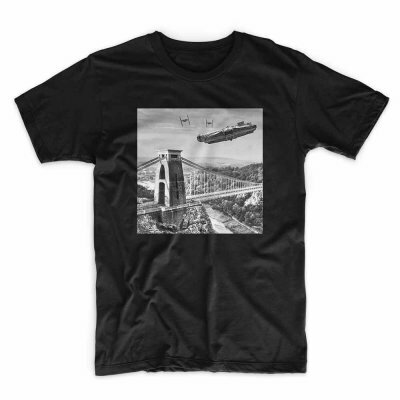 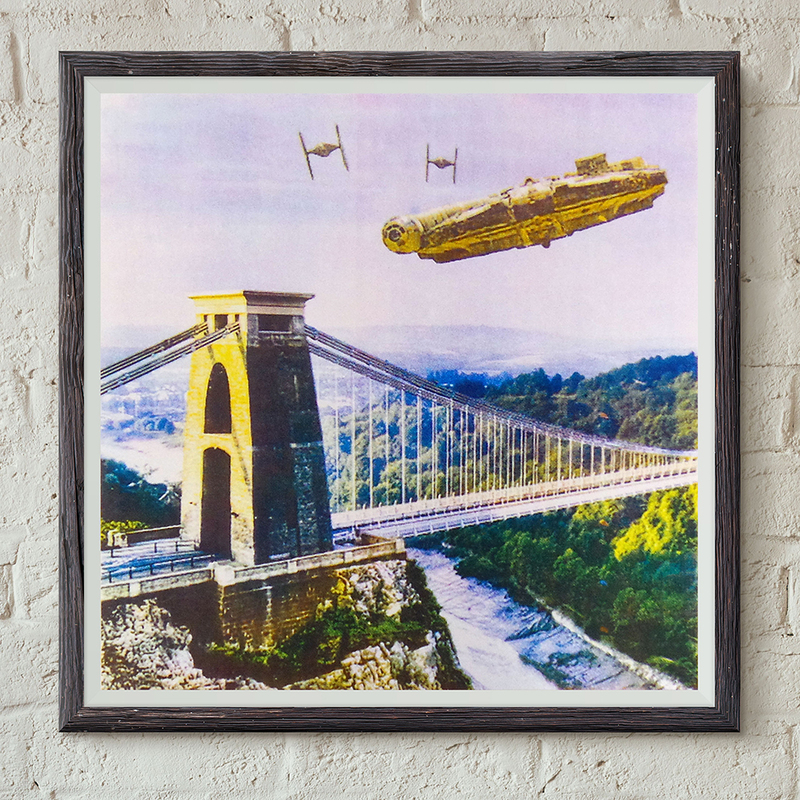 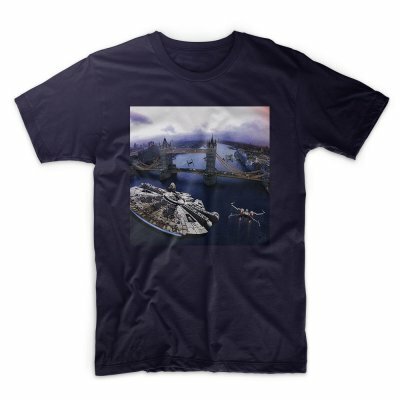 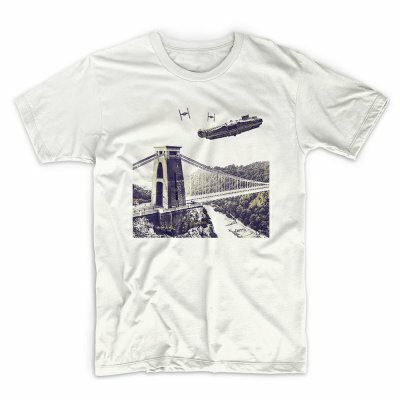 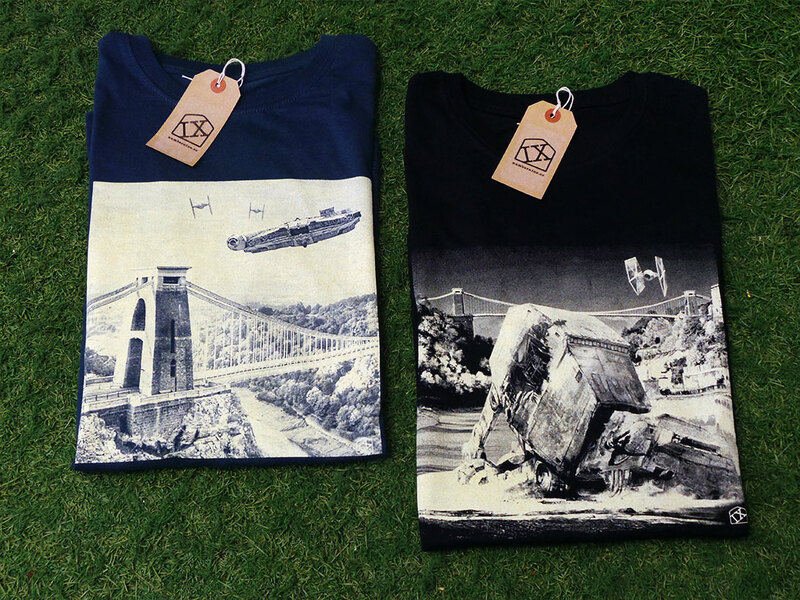 The Millennium Falcon outruns two TIE Fighters over Bristol’s Clifton Suspension Bridge. 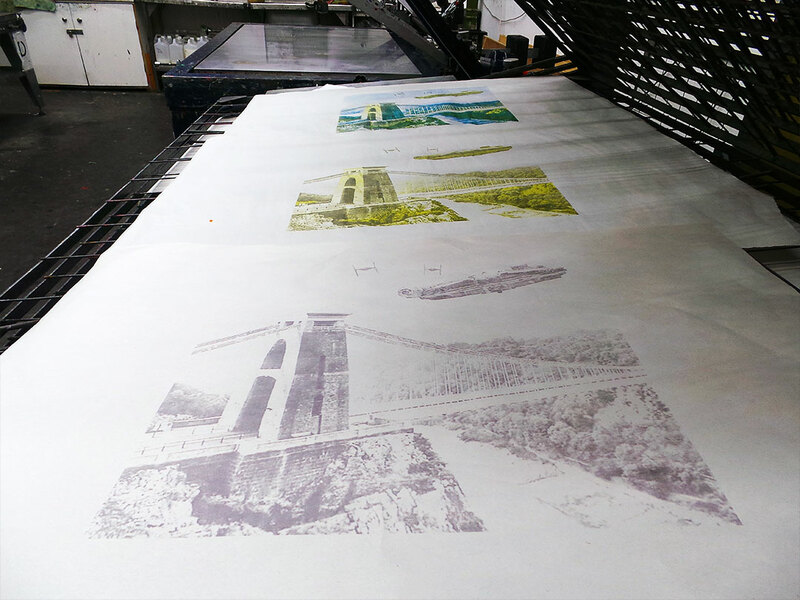 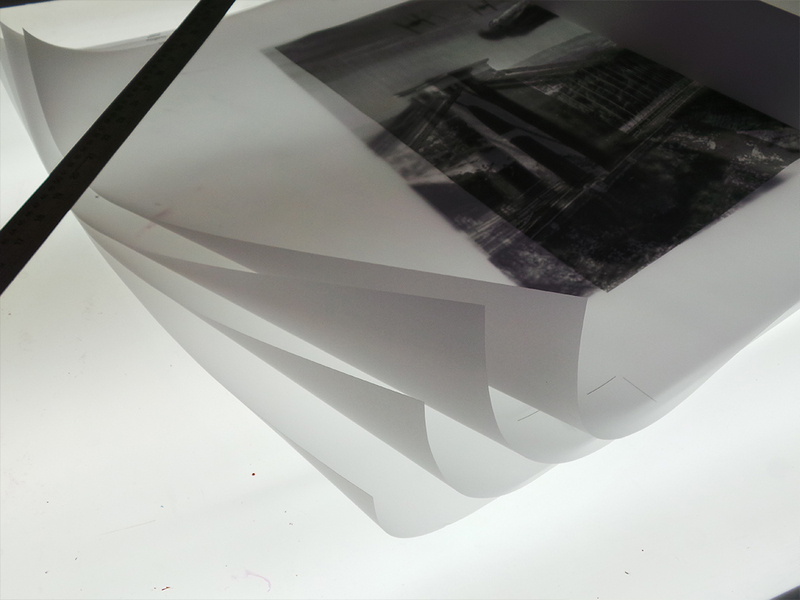 Printed by hand in four halftone colours on 300gsm Somerset Satin paper. 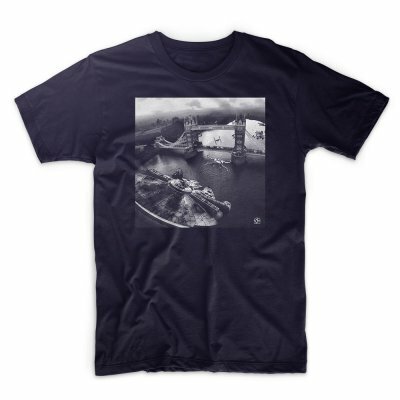 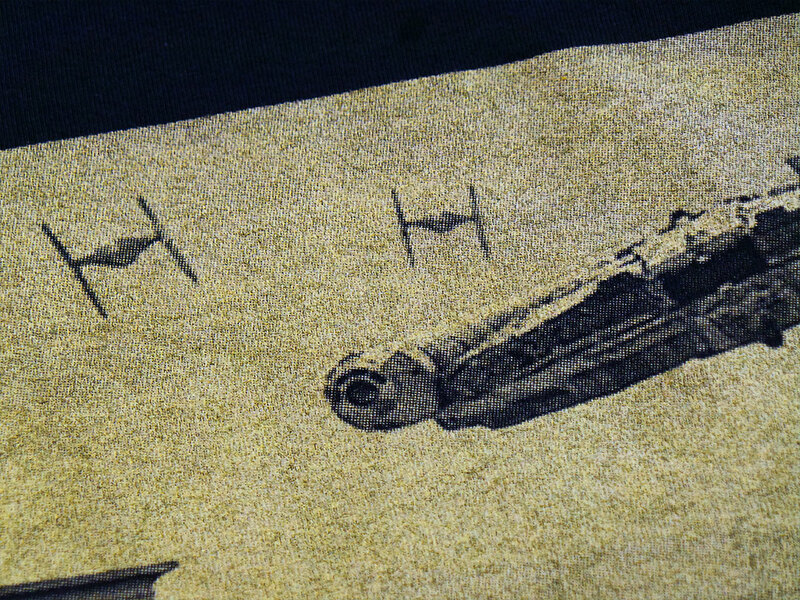 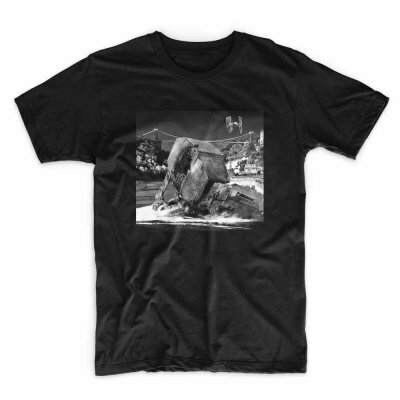 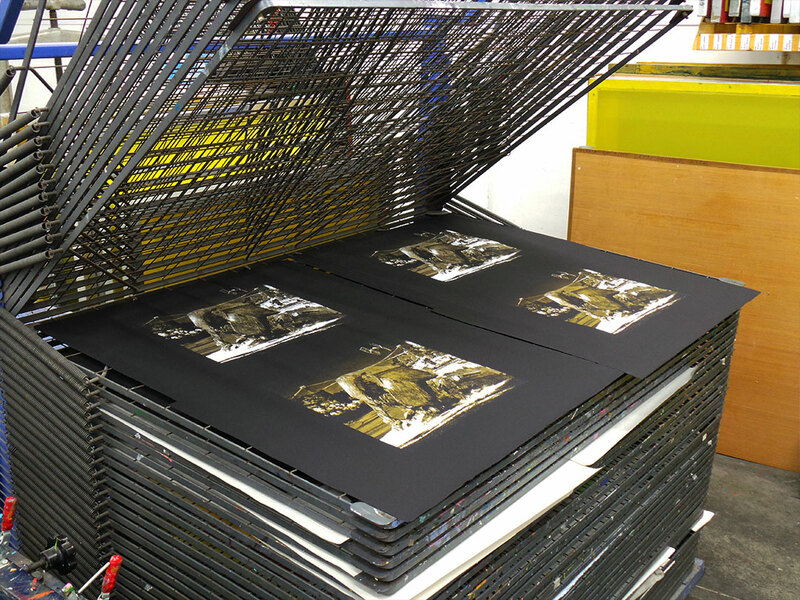 This print edition is limited to 10 screen prints. 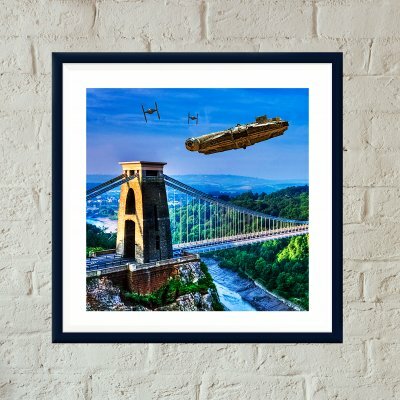 Print size 50 x 50cm. 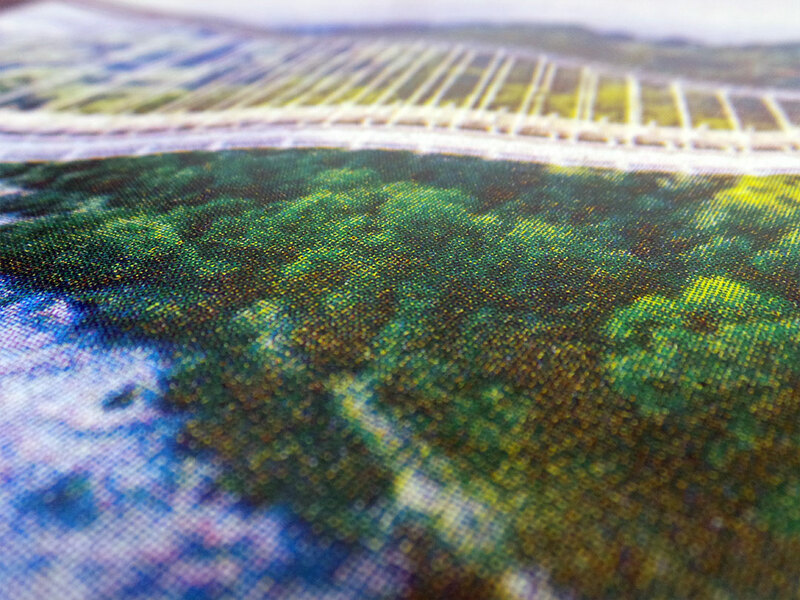 Signed and numbered by the artist. 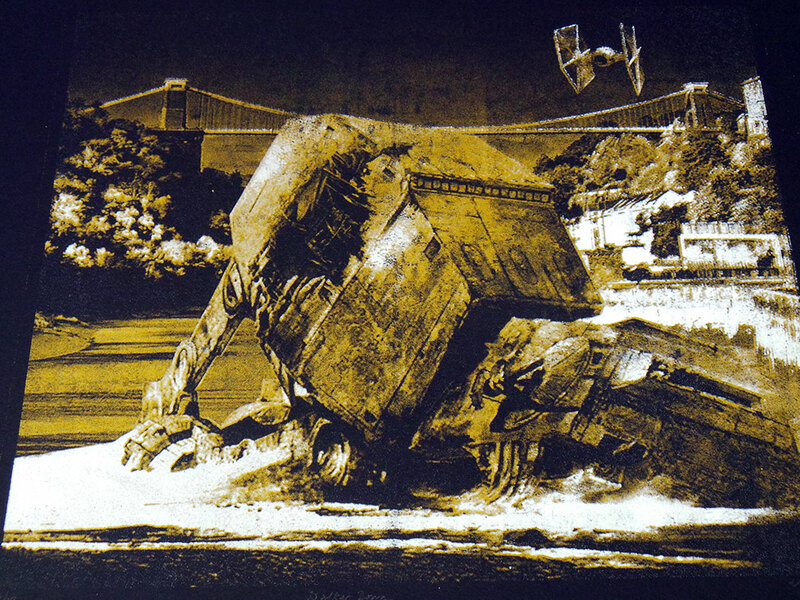 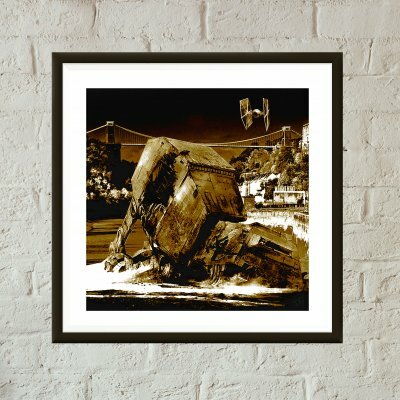 After a fierce dogfight with the Millennium Falcon and a vicious ground assault along the Avon Gorge, a TIE Fighter surveys the aftermath and finds a downed AT-AT Walker against the backdrop of Bristol’s Clifton Suspension Bridge. 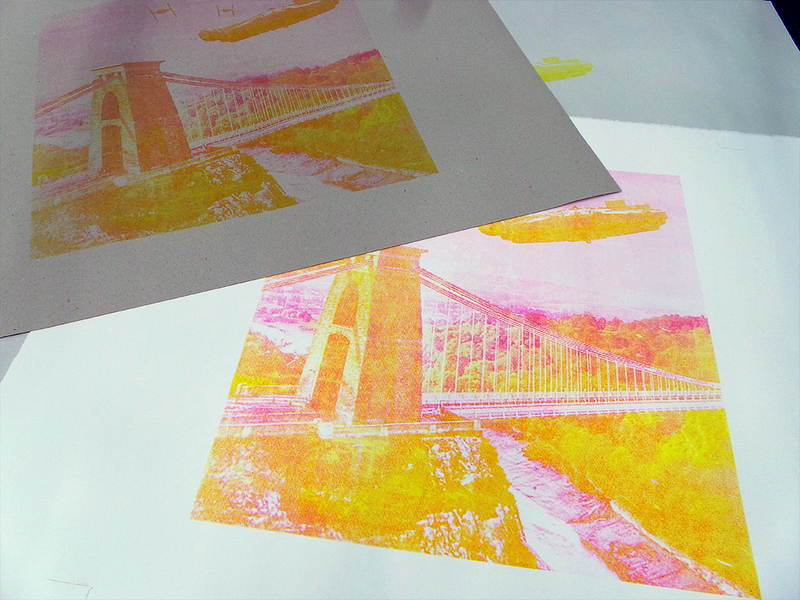 A limited edition of 13 two colour screen prints. 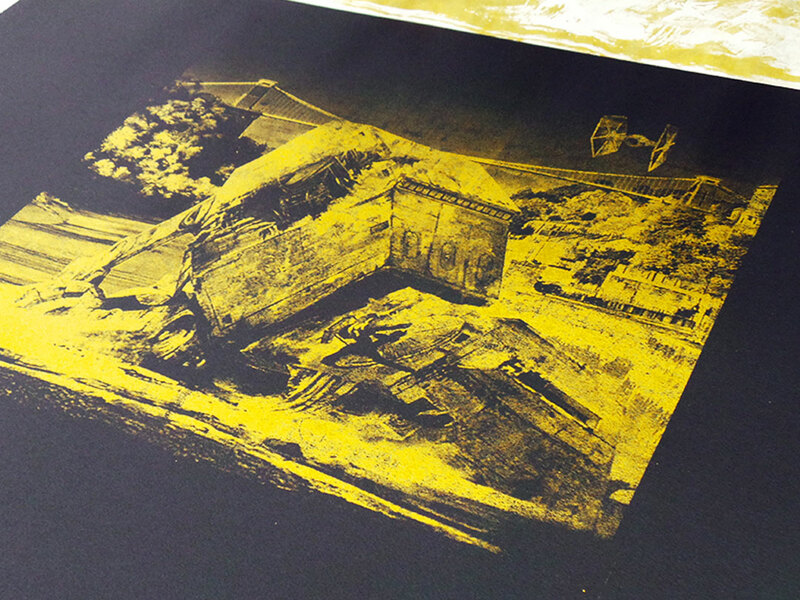 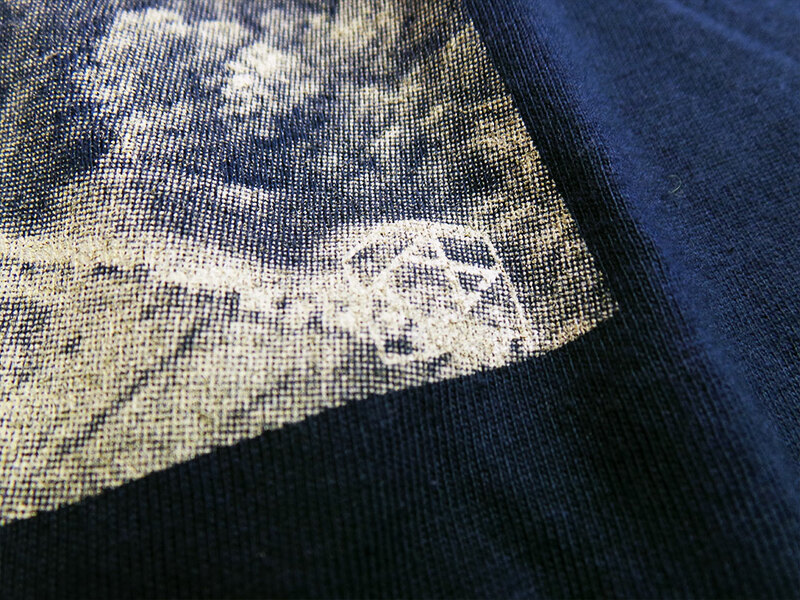 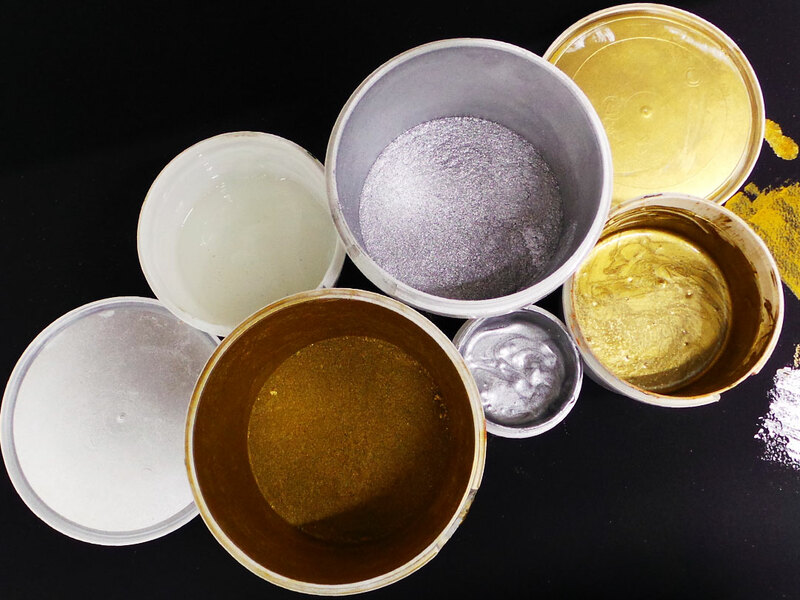 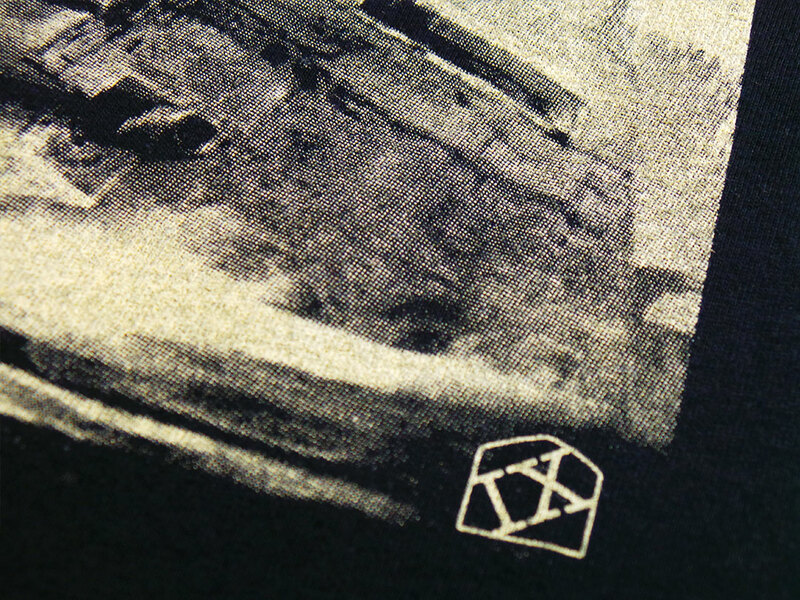 Each print hand pulled with varying levels of metallic gold ink in each print. 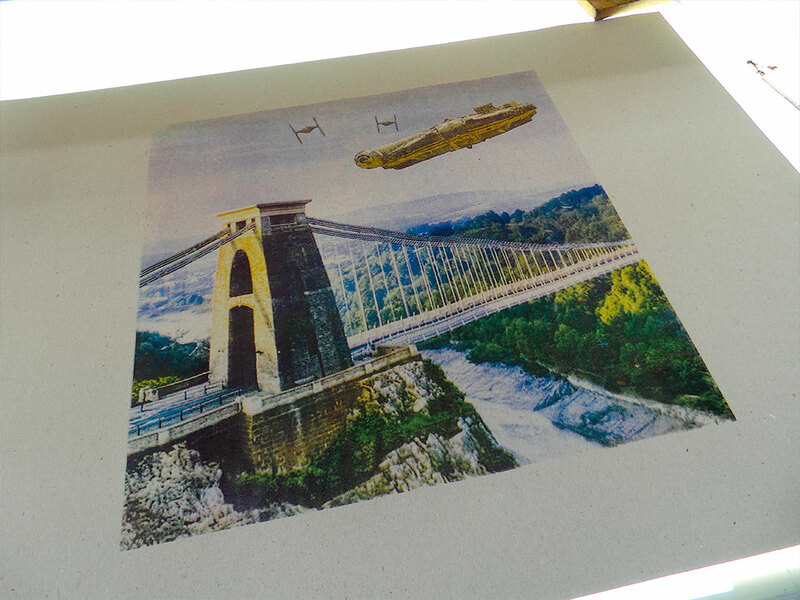 Printed on 250gsm black Arches acid free paper. 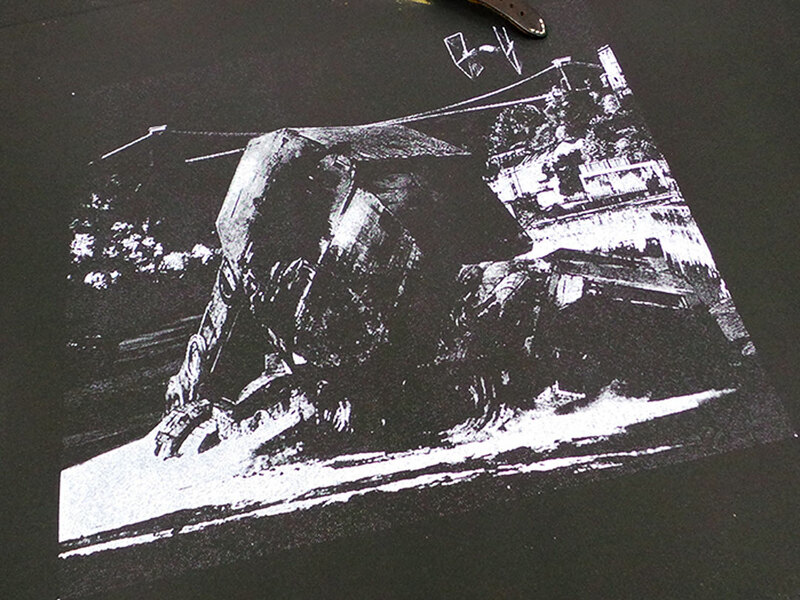 Signed and numbered by the artist. 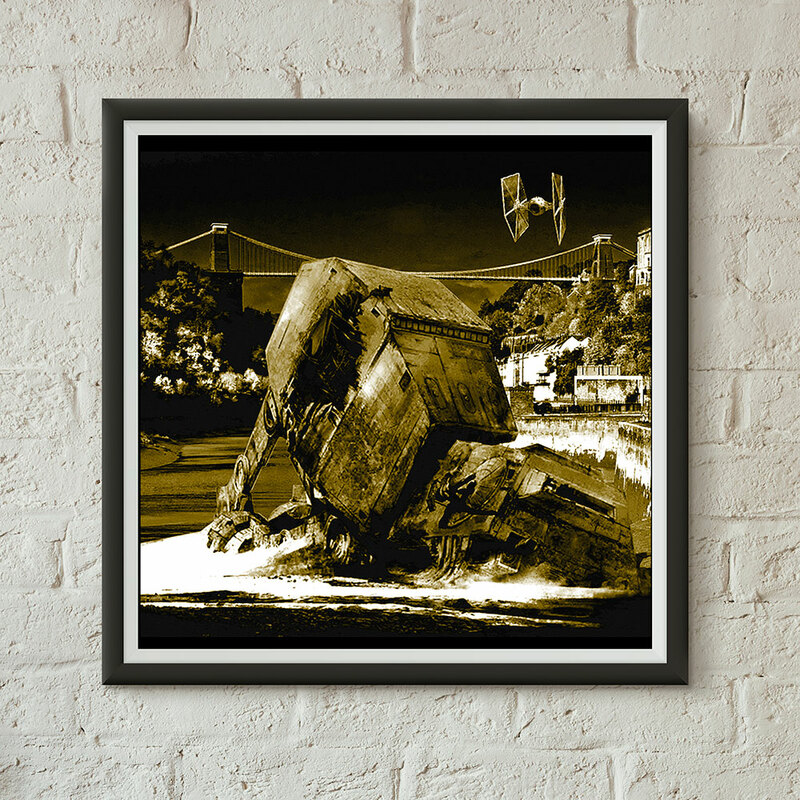 Print size 50 x 50cm.